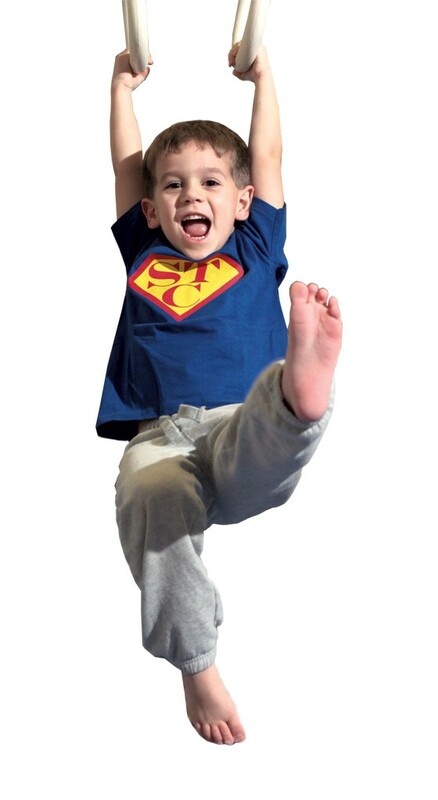 Superhero Gymnastics for Preschool Boys | Fit Families | Kids VT - small people, big ideas! 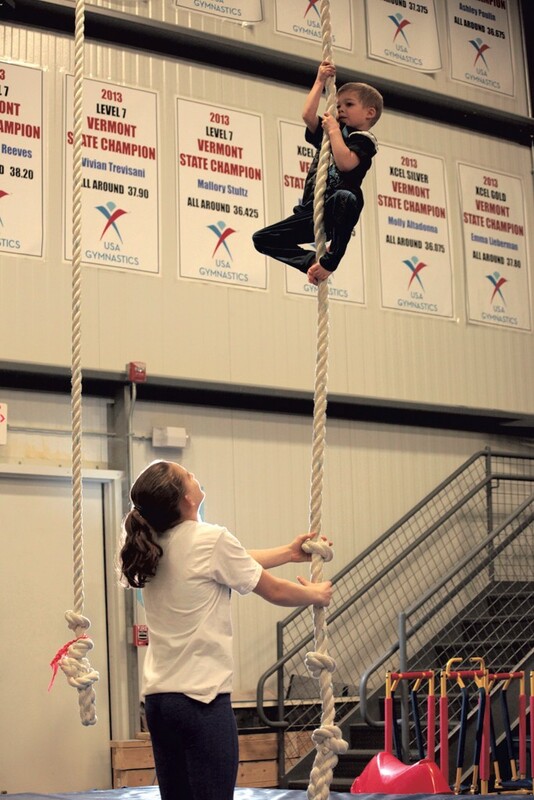 Coach Jarrett Bergeron teaches classes for boys at Regal Gymnastics Academy in Essex. But his 3- to 5-year-old students aren't enrolled in a gymnastics class — they're signed up for something that sounds a lot more fun: Superhero Training. 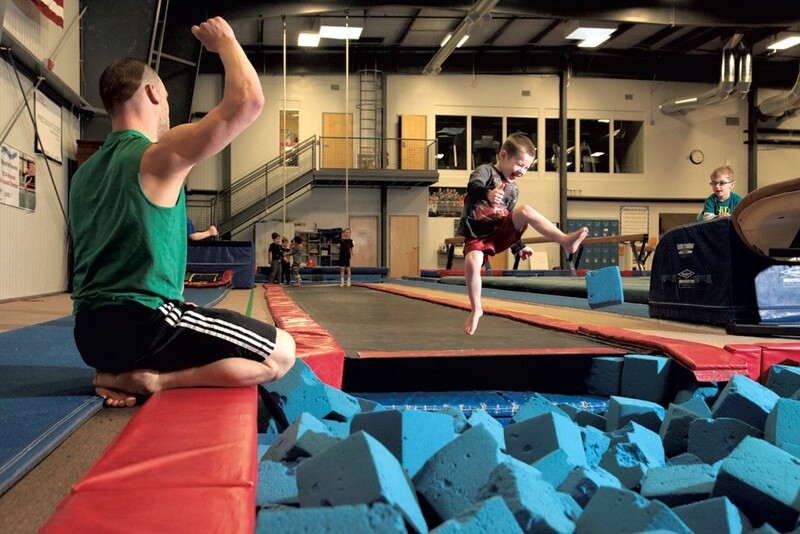 Bergeron uses obstacles and imaginative play to teach the fundamentals of gymnastics in his two weekly classes, which are open only to boys. Over the course of 45 minutes, his budding, barefoot gymnasts scale foam mountains and brave harrowing walks on narrow balance beams, pretending the solid ground below is actually shark-infested water. 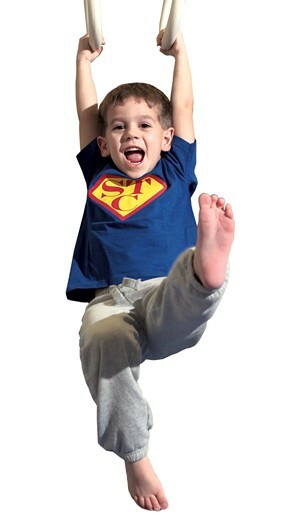 In a floor exercise, the boys crouch, then spring up, arms waving, as if they're slinging webs like Spider-Man. Jericho dad Nathan Perkins brings his 5-year-old son, Henry, to the class. Perkins says he can see the kids practicing specific gymnastics skills, but the kids themselves don't seem to make the connection. "They have no idea what they're working on," he says, "but they're having fun." Henry, he says, is hooked. "If I told him he couldn't do it, he'd probably run away." Generating that enthusiasm is part of the point of the lessons. Regal has no problem attracting girls to its classes, but boys are a different story. 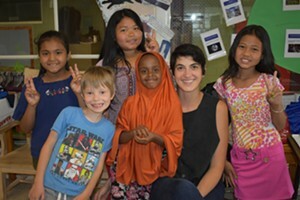 About 800 students are currently enrolled in Regal's classes; of those, roughly 10 percent are male. That trend holds true nationally, as well. Of the 140,000 gymnasts registered with USA Gymnastics, the sport's national governing body, only about 13 percent are male. Dennis McIntyre, USA Gymnastics' vice president of men's program, suggests that's because boys can choose from among lots of high-profile sports. Plus, he adds, men's gymnastics gets very difficult as boys progress; men must compete in six events compared to women's four. "It's extremely physically demanding," McIntyre says. Add to that the stereotype that gymnastics is for girls, and a lot of boys check out. But boys have plenty to gain from gymnastics, even if they eventually choose to pursue football, basketball or lacrosse. The balance, coordination, kinesthetic awareness, strength and flexibility gymnastics instills transfer directly to other sports. "Gymnastics is to sport what the alphabet is to the written word," McIntyre says. Coaches of other sports recruit gymnasts, USA Gymnastics spokeswoman Leslie King points out. "Our slogan is, 'Begin here. Go anywhere.'" For example, coach Bergeron quit competitive gymnastics when he was 10 to follow his older brother into soccer. "I could do a flip throw-in," he says. That's a front handspring holding the ball, which he hurled once his feet hit the ground. "That was the gymnastics," he says. Now Bergeron trains his students to follow in his footsteps — literally. His classes begin with a game of follow the leader. A recent session ends that way, too. Bergeron leads the group of six students through an obstacle course of five balance beams lined up at one end of the gym. "Over the beam!" he commands as time winds down. He and the boys scramble over the first beam then roll under the final four, as if bad guys are hot on their trail.